Have you heard that green is the new black? If you don’t particularly feel like having your feet run over numerous times by rabid shopping cart-pushers today, why not skip the Black Friday madness and peruse eco-friendly gifts from the comfort of your own computer screen? 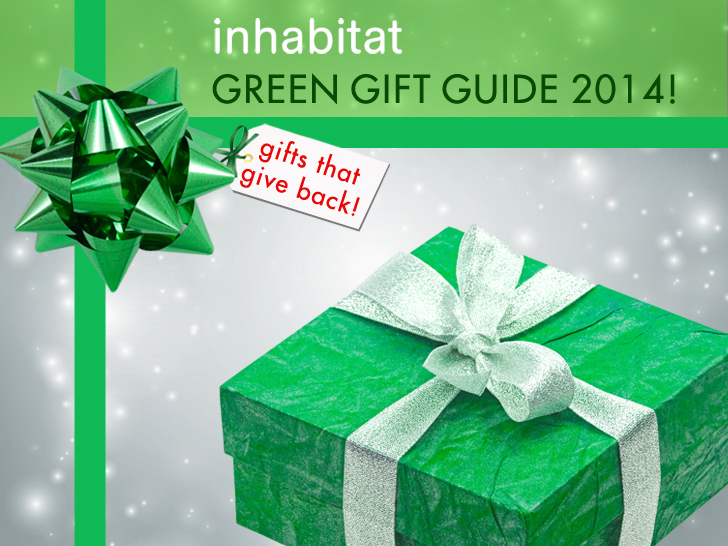 Inhabitat’s 2014 Green Gift Guide is full of unique, useful and eco-conscious presents for everyone on your list, from the gals to the guys, the big kids to the wee ones, the green thumbs to the gadget geeks, and everyone in between. We’ve also got affordable offerings under $20 and under $50, and for those who choose to avoid consumerism altogether, we’ve got clever DIY tutorials for goodies you can make yourself and buy-nothing gifts of time. So get comfy, down some coffee, and get a head start on your holiday shopping here. Have you heard that green is the new black? If you don't particularly feel like having your feet run over numerous times by rabid shopping cart-pushers today, why not skip the Black Friday madness and peruse eco-friendly gifts from the comfort of your own computer screen? 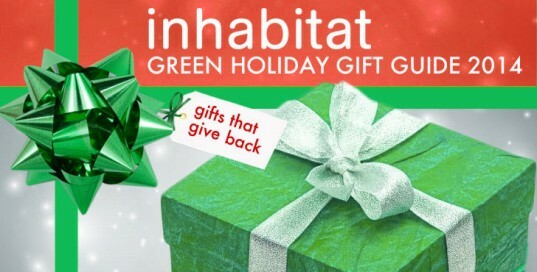 Inhabitat's 2014 Green Gift Guide is full of unique, useful and eco-conscious presents for everyone on your list, from the gals to the guys, the big kids to the wee ones, the green thumbs to the gadget geeks, and everyone in between. We've also got affordable offerings under $20 and under $50, and for those who choose to avoid consumerism altogether, we've got clever DIY tutorials for goodies you can make yourself and buy-nothing gifts of time. So get comfy, down some coffee, and get a head start on your holiday shopping here.